The Navajo Generating Station near Page, Ariz. The Navajo Transitional Energy Company says several advantages unique to tribal ownership would make the mine and plant profitable. The tribe would receive a 20 percent federal tax exemption on the properties. NTEC also says several entities have privately signaled they’ll buy NGS power if the price is right. "You have to control the price of the fuel. That’s a really big factor. Navajo, once they own the mine, they will be able to control that cost. That’s really what makes it work," says Steve Grey, NTEC’s director of governmental and external affairs. He says NTEC wants to close on the purchase by October. Others, however, have serious doubts about the deal’s economics. 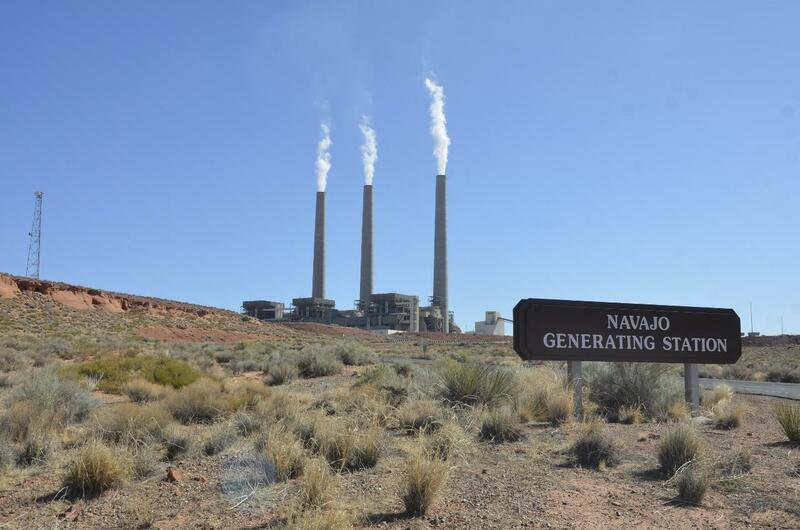 A recent study shows the Navajo Nation could lose millions on its partial ownership of a New Mexico coal plant. Advocacy groups say the tribe’s further investment in the industry would be devastating. The current owners of NGS decided to close the plant because of the increasing competitiveness of natural gas and renewables. Despite the purchase talks, they’re still proceeding with decommissioning the plant.